While the state Congress leaders hailed the Cabinet expansion for giving representation to leaders from all sections and regions, the opposition BJP said it showed "differences" within the ruling party. 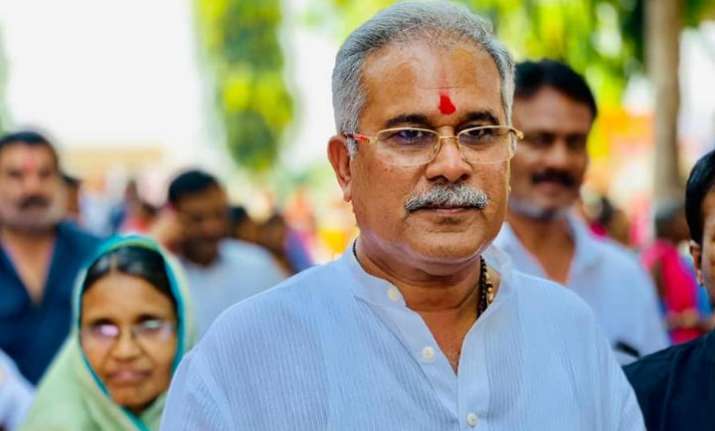 Chhattisgarh Chief Minister Bhupesh Baghel on Tuesday inducted nine MLAs, including a woman legislator, as ministers. With the first exapnsion, the strength of Baghel-led Cabinet has reached 12. Governor Anandiben Patel administered the oath of office to the new ministers during a function held at the Police Parade Ground in Raipur. Senior Congress leader PL Punia, Chief Minister Baghel and other leaders were present on the occasion. Two other Congress legislators - TS Singh Deo and Tamradhwaj Sahu - had taken oath as ministers on December 17, after Baghel was sworn in as the chief minister. Those who took oath on Tuesday included Mohammad Akbar, Ravindra Choubey, Jaisingh Agrawal and Umesh Patel. #Four-time MLA and former minister Akbar is the lone Muslim face in the Cabinet. He won the recently held state election by the highest margin of 59,284 votes against his BJP rival in Kawardha seat, the home town of former chief minister Raman Singh. #Ravindra Choubey, who won from Saja seat, had served as minister in the Ajit Jogi-led Congress government in Chhattisgarh (2000-2003) and was earlier also the leader of opposition in the state assembly (2008-2013). #Second time MLA Umesh Patel, son of former state Congress chief Nandkumar Patel who was killed in the Maoist attack in Jhiram valley of Bastar in 2013, retained his Kharsia seat in the election. #Jaisingh Agrawal was elected for the third consecutive time from Korba seat. #Woman MLA Anila Bhedia, and Kawasi Lakhma and Premsai Singh Tekam were the tribal leaders inducted into the Cabinet. #Tekam, who became MLA for the sixth time, defeated the previous BJP government's home minister Ramsewak Paikra in Pratappur seat. Tekam had served as minister in the previous governments in Chhattisgarh and in erstwhile undivided Madhya Pradesh. #Lakhma, a five-time MLA from Konta seat, is the party's prominent tribal leader while Bhediya, wife of former IPS officer Ravindra Bhedia, has been elected for the second time from Daundi Lohara seat. #State Congress's working president and three-time MLA Shiv Kumar Dahariya and two-time MLA Guru Rudra Kumar, both belonging to the Scheduled Caste (SC) community, were also sworn in as ministers. Daharia won the Arang seat this time, while Guru Rudra Kumar, who hails from the Guru family of Satnami sect, largely followed by people of the schedule caste community, won from Ahiwara seat. Umesh Patel, 34, is the youngest member in the state Cabinet while Tamradhwaj Sahu, 69, is the eldest. All the ministers took oath in Hindi. The portfolios are yet to be announced. The Chhattisgarh cabinet can have 13 ministers at most, including the chief minister. According to the party leaders, the remaining minister will also be finalised soon. State Congress communication wing head Shailesh Nitin Trivedi told PTI that after receiving a huge mandate, it was a challenging task for Chief Minister Baghel to select his ministers as several senior and experienced leaders have won. "But, he successfully met the challenge and formed a balanced Cabinet giving representation to leaders from all sections and regions," he said. Though some senior leaders could not make it to the Cabinet, the party respects all of them and they will be given appropriate positions, Trivedi said. 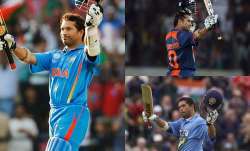 "Now we have the target to win all 11 Lok Sabha seats in the state in next year's general elections," he added. BJP spokesperson Sachchidanand Upasane said it was expected that senior leaders with administrative skills will be given berths in the Cabinet, but it seemed that the chief minister wanted to keep all the rights with him. "This Cabinet will function with the remote control in Baghel's hands," he said. Upasane claimed the Cabinet formation "clearly reflects differences among leaders within the ruling party" as all the sections were not properly covered in it. The Congress returned to power in the state after 15 years, dislodging the Raman Singh-led BJP government. The Congress bagged 68 of the total 90 seats in the Assembly, while the BJP won only 15 seats.